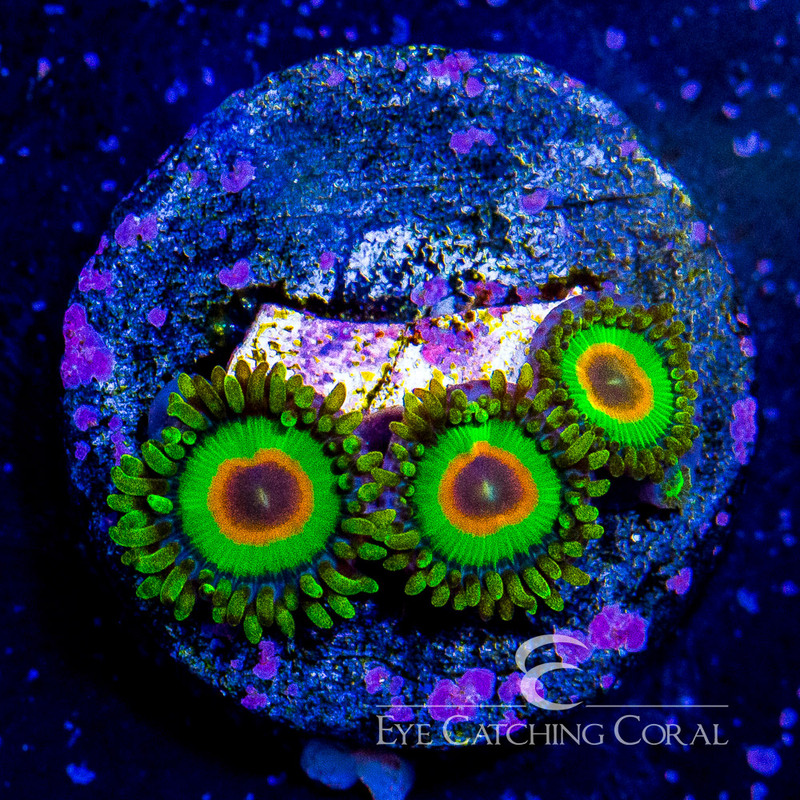 ECC Rasta Zoanthids are an iconic Zoanthid strain that has been in the industry for many years. 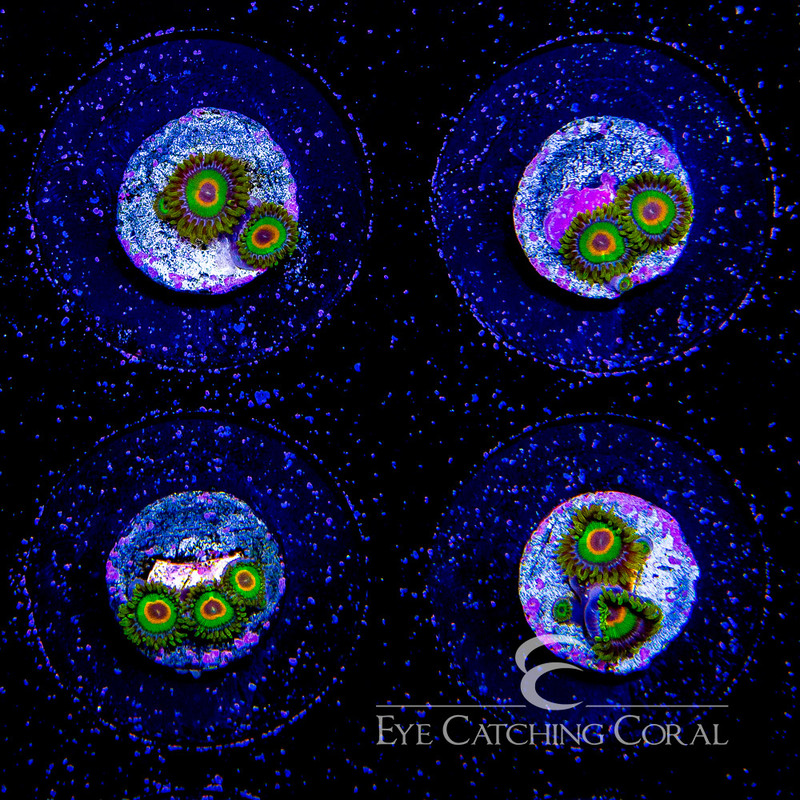 The disc has bright rings of green, orange, and blue surrounded by tentacles that are bright green. Once settled in these Zoanthids grow very quick. We got this zoanthid form Davids Aquariums at Reef a Palooza New York in 2018.